Joseph Michael Straczynski, known professionally as J. Michael Straczynski and informally as Joe Straczynski or JMS, is an American writer and television producer. He works in films, television series, novels, short stories, comic books, and radio dramas. He is a playwright, a former journalist, and author of The Complete Book of Scriptwriting. He was the creator and showrunner for the science fiction TV series Babylon 5, and its spin-off Crusade, and Jeremiah. Straczynski wrote 92 out of the 110 Babylon 5 episodes, notably including an unbroken 59-episode run through the third and fourth seasons, and all but one episode of the fifth season. He also wrote the four Babylon 5 TV movies produced alongside the series. From 2001 to 2007, he was the writer for the long-running Marvel comic book series The Amazing Spider-Man. 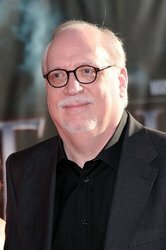 In 2009, Straczynski was nominated for the BAFTA Award for his screenplay for Changeling.